Tom Brady secured his 17th career playoff win as the New England Patriots defeated the Houston Texans in the AFC divisional playoff. Methodical and unrelenting the Patriots played a nearly perfect game with Brady completing 25 of 40 passes for 344 yards and three touchdowns. The Texans who defeated the Cincinnati Bengals last week could not stop the Patriots offense and though Quarterback Matt Schaub was nearly as good as Brady completing 34 of 51 passes for 343 yards and two touchdowns, but giving up a critical interception. The interception by Linebacker Rob Ninkovitch stopped a Houston drive and resulted in a New England Touchdown. The Texans who were demolished by New England last year held the game close in the first half, coming back from a 17-3 deficit to end the half behind just 17-13. However in the second half the Patriots took control and despite the loss of Tight End Rob Gronkowski to an injury early Brady was able to make use of his favorite receiver, Wes Welker for 130 yards and third string Running Back Shane Vereen for two touchdown passes and a rushing touchdown. The Texans trailing 38-13 at the beginning of the 4th quarter did attempt a comeback and scored two touchdowns but the effort was too little too late. 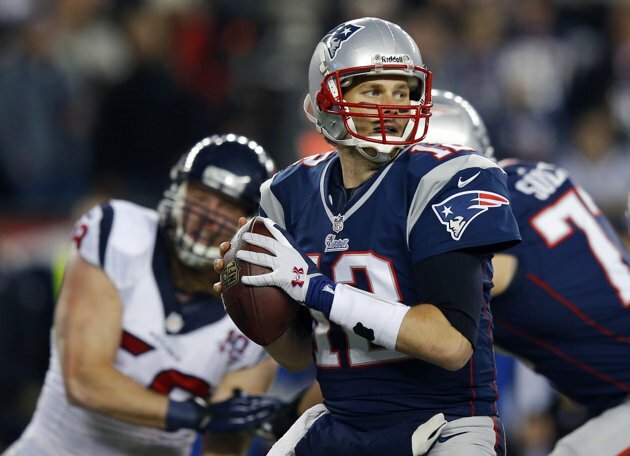 The Patriots will host the resurgent Baltimore Ravens next week. The Ravens coming off their upset win against the Broncos in Denver will face a rematch against an old foe. The AFC championship game has the distinct possibility of becoming a classic.